One of the most significant questions surrounding the Golden State Warriors entering this season was how they would respond to playing with targets on their backs. Last season, they were able to sneak up on some opponents and pull out victories as the underdogs. This season, it’s a different story. Other teams in the NBA now know the kind of talent that the Warriors have. They have a plan on how to stop Stephen Curry and Klay Thompson. They’ve seen the impact that Andre Iguodala has made on the team so far this season. 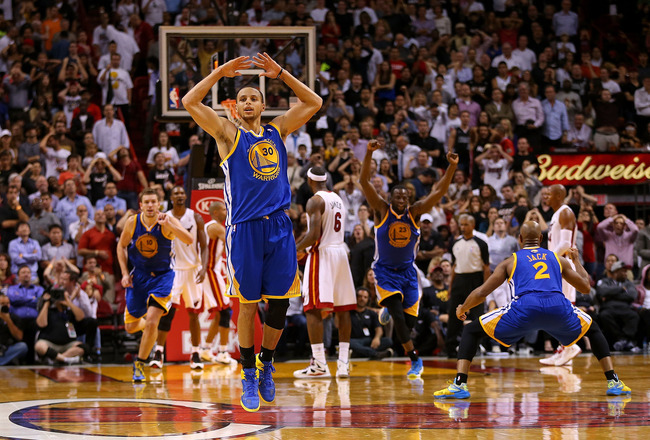 When the Warriors face the Miami Heat today, they will certainly be playing with targets on their backs. The Warriors pulled off a miraculous 97-95 win over the Heat during last season’s seven-game road trip, and the Heat will not let the Warriors sneak up on them again.